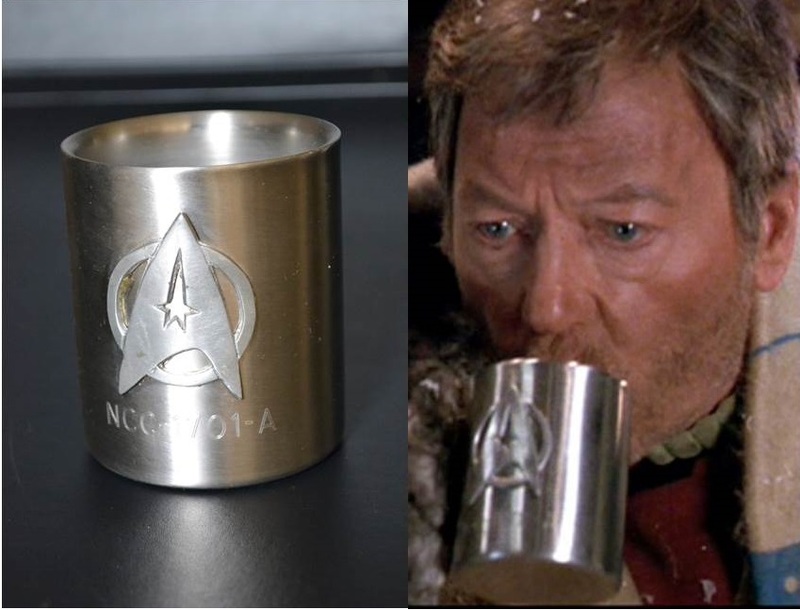 1989 production made coffee mug made for Star Trek V. This metal coffee mug features the familiar Starfleet symbol applied to the opposite side to the handle. 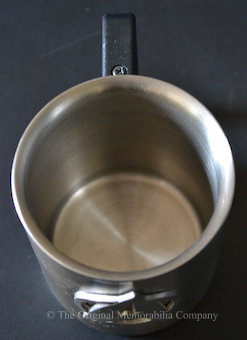 Similar mugs with the identical hand made symbol set at 90 degrees from the handle can be seen in key scenes throughout the film. 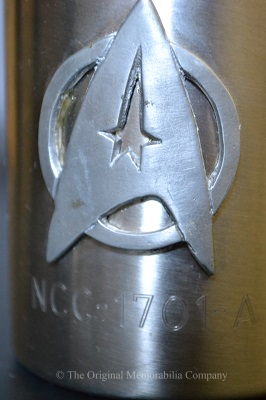 1) This mug and all the items in this collection were originally obtained from a named Star Trek prop master with written provenance held on our files. Full details will be included in your certificate of authenticity. 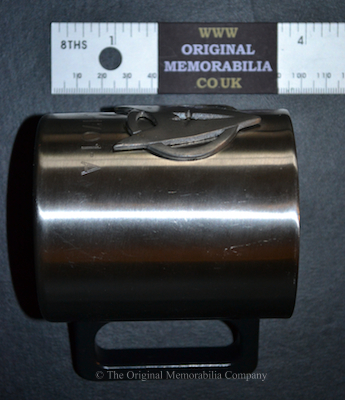 2) We have also shared detailed images of this piece with Don Hillenbrand, a respected collector of genuine Star Trek props and owner of the website www.wrathofdhan.com He has confirmed that this piece would have been made for Star Trek V and is correctly described above.